I'm sure you've seen my big announcement by now and truly, I am still a little flabbergasted how it all came to be! Yours truly, Alexandria Mooney Photography (which remember back in April when I changed my biz name?! This was a large part of the reason why!! 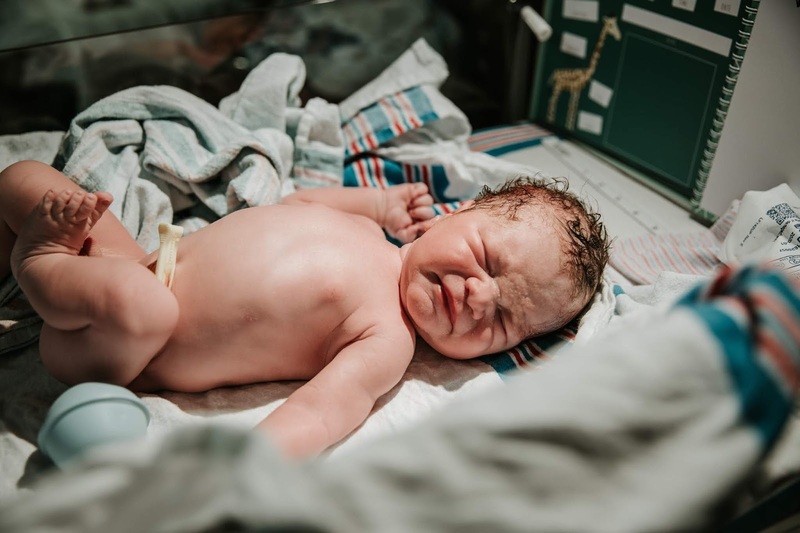 ), has just entered into a monster huge contract with Missouri Baptist Medical Center (MOBAP hospital) to be THE birth photographer. My photog company (and contracted photogs, cause I cannot be on call 24/7/365!) will be doing any and all births that mamas (and daddies!) want snapped at MOBAP. So, with that said, I thought I'd stroll you down the past 7+ months or so and how this actually transpired, because, believe it or not, it's quite a process! Well I lied...first I have to go back 2 years ago to the spring of 2016. I had never snapped a birth before, but knew it was something I wanted to do, but didn't know how to begin with it. I can't charge for something I've never done, so, I did what any photog does when they are wanting to snap something particular: I put out a model call for it! And that brought Katie and Phil into the picture, which I have to give SO MUCH CREDIT to basically everything I'm writing here to these guys. Katie and I went to high school together and we've known each other forever it seems but never really hung out or anything. Well, that was about to change -- they were just a few weeks away from welcoming their first little one (yay team green baby!) and she saw my post on a local mom page and messaged me that this 'birth capture' may be something they were interested in...so I invited them over for dinner to chat about it. Long story short: they believed in me -- they decided that yes, they wanted their first kiddo's arrival documented and yes, they wanted me to do it and YES, they were okay with it being shared! They took that leap of faith on me, allowing me into their child's birth and I am forever and ever grateful to them for that. Seriously, Katie (and Phil!) - if you're reading this, I love you buddy. THANK YOU for believing in me and for the amazing friendship we've developed ever since! I am eternally grateful every sing day for you guys! After snapping Wesley's arrival, I was hooked. I snapped a few more 'model call' births to get my feet wet and that was it: I KNEW this is what I wanted to do. I loved taking pictures, but nothing compares to capturing the entrance of babes into this world! Almost 2 years ago I set out to make birth photography my mission...while still enjoying snapping families and a few weddings along the way too. 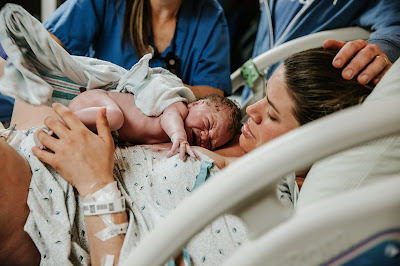 About a year after Katie's birth in the summer of 2017 I wrote this post...and it was alllll about how I got some of my birth prints printed to hang in my OB's office! I was TERRIFIED to even ask her -- you know, that deep-seeded fear of rejection we all secretly have -- but a friend told me they can't say yes if you don't ask. So I did...and BAM! Up went my birth/fresh 48/newborn prints in her exam rooms and business cards in the office!! EEEKKKK! I was so ecstatic. And I got a good number of inquiries and bookings (not necessarily just for births either!) from those prints and cards. I was so excited I was getting my name and pictures out there -- and forever grateful to my wonderful OB for taking that chance to put up my snaps in her office. Okay, now let's flash-back to a bit more recent: January 2018. It is NO secret I love snapping births. Ever since I did my first one back in the spring of 2016, I have been HOOKED. 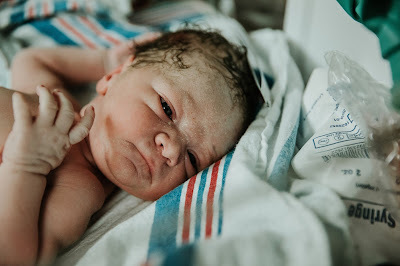 I love photography so much but snapping those brand new babes coming into the world is my most favorite thing to snap. 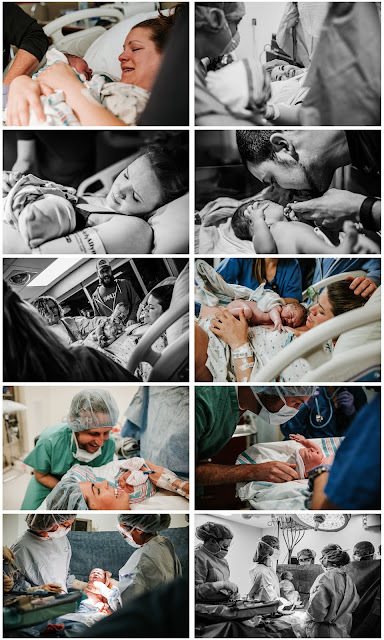 I love it SO MUCH and I've joked for the past year that my dream job would be to do just that: a birth photographer! My wonderful postpartum nurse/friend Karen is someone I always will text my birth snaps to after a birth I've shot. After a birth I did in early February, I sent her a few and she said, "Wow, this is something MOBAP should be offering!!" All STL hospitals offer "Fresh 48"/newborn in-room photography through Bella Baby, but no hospital offers actual labor/delivery/birth coverage! 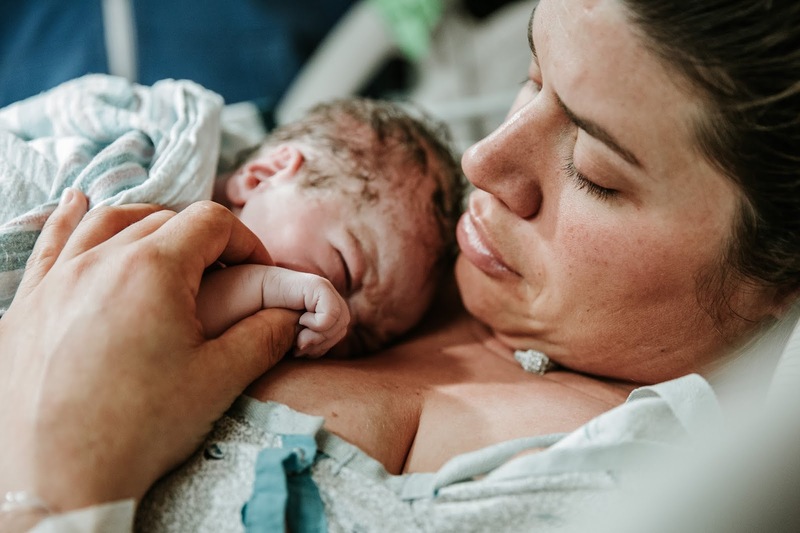 Which, not many hospitals in the US offer birth photography either -- which I think a large reason why is because of the 24/7 on-call nature of the business and that is a bit challenging to get coverage for and to offer. Karen said she was going to talk to her nursing director about if this is something MOBAP would be interested in offering. I told her that would be great and kinda forgot about it. Well, a few days later Karen sent me a message saying that YES! Her director is super interested in offering this and would love to talk more about it. WHATTT! Oh my gosh, this would be a dream job! But, logistically, how would it work?! So many ideas were streaming through my head. I went ahead and shot the nursing director an email about meeting and discussing this and we set a date for a few weeks out at the end of February to chat. I.was.so.excited. I have a Facebook group of 'internet friends' (but, SO MANY OF THEM have become such good real life friends!) and another good mom friend Olivia (who I've never met but we talk a zillion times a day online and I feel like is truly a IRL bestie) that I shared this news with and all of my excitements and fears. Like obviously I could not do this in my current setup -- that I can't have a full time '9-5' job and do births. I've already seen the challenges with that when snapping births during the school year and that's something I needed to address if this were to fountain into something. 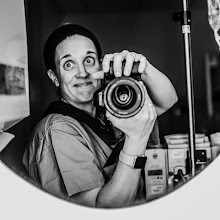 But, snapping births is truly my dream job -- something I've dreamed about doing since the very first birth I snapped...and now I have the potential of making that happen. All of my internet friends were so supportive and telling me to go for it...but I'm cautious, and conservative. I have a great job right now teaching/doing tech stuff that I LOVE, why would I give that up (and that salary and benefits up!) for something that is so unknown?! I obviously had a lot to think about. The end of February came and it was time for my meeting with the nursing director. To say I was nervous/excited was an understatement; I think I felt physically nauseous the entire day leading up to that meeting! In my dream fog I was like, "Man, wouldn't it be cool if MOBAP just hired me on and I worked directly for the hospital and that was that??!" But that didn't happen :) That would have been too easy! And truly, not sustainable...because I cannot be on call for every.single.birth. 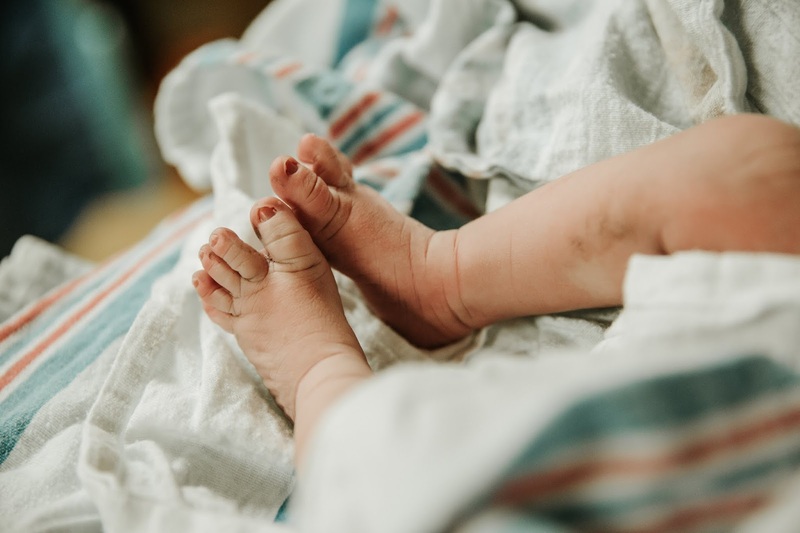 MOBAP delivers 4000+ babies a year, and that is a lot of potential customers -- seemingly too many for just one human to handle. The director and I had a good and very informative meeting -- she was clear that they loved this offering but ONLY if it would be something that would be offered (and covered!) for everyone that wants it...so obviously me, having a photog business and other full time job probably wouldn't work. And I'd probably have to have a team of photographers and this would be a bigger operation than Pics & Paws. We both said we would be in touch in a week or so...I had some things to think over and she was going out of town. To be honest, I left the meeting feeling like defeated. I mean, not really, but definitely thinking, "Dang, this is going to be way more involved than I thought. And I would have to essentially give up my steady teaching job for a big unknown..."
I hopped on Facebook and posted a little update for my group and sent a message to Olivia who had been following the beginnings of this story and gave them a play-by-play, my thoughts, fears, etc... Every.single.one. of them was so encouraging and supportive and really pushing me with questions and 'what ifs' which I so appreciated cause it really made me think. I also talked it over with Mike and we went back and forth on different scenarios and all of that. Truly, by the end of that day, I was mentally and physically exhausted. I had a huge decision to make: let this go and table it as a great idea that would stay that way (and then stay with my nice, stable teaching job), or take a massive leap of faith and go for it, with so many unknowns and uncertainties that could lie ahead. I definitely needed to sleep on it and think. And make a list. Pros and cons. EVERYTHING. Lists are my favorite and really help me plot out my thoughts. They always help. And I did just that...for a few days. And made lots of lists and lots of notes and lots more lists! After talking with my internet friends (and real life friends!) some more, I could not shake this opportunity. THIS WAS my dream job. I HAD to go for it. I had to! Mike, who is usually with me and captain conservative play-it-safe was in 110% support mode -- he told me to go for it. He supported me, knows how much I love photography and snapping births, and was gung-ho for it if I was. That's the push I needed! I grabbed my phone and emailed back the nursing director saying I think we should move forward...along with a list of, not kidding, like 20 logistical questions I had for her! I was literally shaking I was so excited and nervous and anxious and terrified about what lie ahead!! This was right before we were suppose to head to Disney World for spring break. I decided that obviously I could not full-time work at Ursuline next year. Although I love my job, my co-workers, and students, I really needed to not be there full time. Plus, I feel like this year I have missed so many days due to kid stuff -- events at school, doctor's appointments, sick days, conferences, etc... and I loathed having to drop them off for early care every morning too and not on their normal start times. Truly, even if this birth photog gig didn't pan out, it set into motion in my head that I wanted more time at home, flexible time with no set '9-5' working outs and the ability to be able to make my own schedule. So, a few days before we broke for Spring Break I went to my principal and pitched an idea to him: I wanted more time at home with my kiddos and wanted to see if I could 'work from home' for the 2018-2019 school year...meaning I would teach my classes online (just like I did in 2015 and 2017 springs for my maternity leaves!) and come in here and there for meetings with my yearbook girls that I set, but not be at school on the regular. I said I needed to go part time with this setup or unfortunately I don't think I could return next year. Well, my principal is a Godsend and an amazing guy, because he made it work. He came into my office about 45 minutes before I was leaving to go home and grab Mike and the kiddos to head out to Disney World and told me this. Yes, I was chopping my salary in half, but I was still going to be 'working' -- teaching my classes online and having a wide-open flexible schedule for my kiddos AND photography. I.was.so.excited. I think the entire drive down to Disney World I couldn't stop smiling and so excited about my future. It was happening: I was getting to follow my dream of being a full-time photographer WHO has flexible hours for her kiddos. EEEKKKKK! I shot the nursing director another email to let her know about my situation for next year so that being 'on call' wouldn't be a problem. We exchanged a few more emails and then setup another meeting for early April...this time with a few other nursing directors from other baby departments. We talked a lot about the logistics and how this would look (and got the definite that this contract for labor and delivery pics wouldn't conflict with Bella Baby's photo contract) and it basically boiled down to MOBAP being the advertiser (so promo materials, flyers, etc... in their delivery handouts, birth classes, OB offices, etc...) and then when people wanted to book with me they'd contact me directly and be booked just like a private birth client that I take on now does...but these MOBAP ones would have a special contract, price, etc... than my usual birth clients since it's 'through' the hospital. I talked out some concerns they had (that stemmed from bad experiences with past contracts/photographers...never with births but just some not great experiences in the past). I confidently reassured them that communication is my strong suit (maybe even a bit OCD with it!) and that I would never commit to something I couldn't follow-through with and deliver results that clients are happy with. I really reiterated I wouldn't take on something I couldn't be successful with. And I think they all appreciated that and really saw that I was genuine and excited for this. I had a lot to work on on my side: separate part of my website just for births, separate social media accounts, separate email, find photogs (and get them to commit...I hadn't posted ANYTHING on social media or STL photog groups cause #1 didn't want to jinx anything, #2 didn't want anyone to steal my idea #3 nothing was set in stone so I didn't want to speak and then have to retract), uniforms, and SO MUCH MORE! It was a bit overwhelming and daunting, to be honest. But my savior, as it had been this whole process it seemed: make a list. Take one thing at a time. In early May I had another meeting again with the same team from the second meeting plus some marketing peeps as well, because, as crazy as it was for me to fathom, this.was.still.happening! So much along this road I kept having to stop and really think, "Is this my life?! Is this really happening?! Am I about to get my dream job?! Did I make this happen?!!" It's truly surreal. And just mind-boggling to think about. This third meeting was our best one yet -- we confirmed the name change, started the process to draft contracts (MOBAP has to draft one with my business, I needed to draft new ones for my contracted photogs, birth clients), went over with the marketing team some ideas for the print materials, established the uniforms for the photogs, outlined new website details, and so much more. We tentatively set a mid to late summer start date for this -- which that felt crazy to think about actually having a DATE in sight! We planned our next meeting for about 6 weeks out -- this would give us time for me to work with the marketing people on designing/photos/wording of the print material, give MOBAP time to get the contract drafted up, and me time to go on our European vacation in early June! I left that third meeting and contacted my photographers who I'd been talking with about this 'idea' and basically asked if they were IN or out (with as much details as I could provide...some things may be more of a 'let's see how this plays out' thing that we work out as they come along). All of the photogs I reached out to were like YES I'M IN! And truly, I was SO EXCITED to have them on board. It is an awesome opportunity for them because, unlike private birth clients you take (that could deliver literally at any time!) this is 'set' times for you -- so you have your set on-call times that you're available and know that you will only be covering a birth the times you say you can. So if you have a wedding or another event scheduled, you obviously don't take an on-call shift then! It is a great way for people to snap births in a very 'controlled' environment. I hadn't yet, but I planned on eventually advertising this in some local STL photog groups if/when I need to round up more photogs, if it takes off! I also sent messages to my friends and internet buddies giving them some updates. And truly, I am eternally grateful for all of their support -- many of them people I've never even met! -- and encouragement and PUSH for me to follow my dream and take this massive leap of faith to see what happens. Obviously I am writing this brand-spankin'-new with this gig and I have no idea where it's going to go from here. It could take off and blow up, or it could flounder and not really amount to much. Regardless, I am doing my dream job and it feels so freaking amazing and so so so awesome. How many people get to actually create their dream job?! Not many. I feel so lucky and blessed that the stars aligned and this was able to take shape. In between that third meeting and fourth one (after our Europe trip!) I exchanged many emails with the directors and marketing people to get to work on that material. I also kept my photogs updated on the happenings, coordinated uniform productions, updated my contracts, website, and so much more. This is the final brochure that we came up with -- isn't it awesome??!?! I also worked with their legal team on contracts and getting a TON of paperwork done (on my end!) to make things official and make Alexandria Mooney Photography an official MoBap/BJC vendor. There is SO MUCH that goes into this that I had no idea was involved when we started! Probably why this process has taken 6 months or so to do!! I also got our uniforms made and oh my gosh, how good did these turn out?! Paired with black scrub pants they are so perfect! I LOVE that my actual logo is on them! So after we got back from our European vacay I had another meeting lined up for mid-June and I was sooooo excited for it. There had been nearly 6+ weeks since our last meeting so I was anxious to go over all of the things that have transpired since our last meeting. This meeting went wonderfully -- we cleared up a bunch of questions (mostly on my end about finances and contracts and contractor requirements) and set a tentative launch date for mid July or early August. I was beside myself that this was really happening!! I went home that day and crafted a massive huge email to my photogs about all of the requirements they needed to get to me and those started coming through not long after I sent them emails out. I got the final draft of the brochure from the graphic designer I had been working with and got a quote from a print shop to get that printed, and then waited for the final contract to come for me to sign and for everything to be officially OFFICIAL! A couple weeks or so after my last birth meeting the contract came, I signed it, and it all became very very real! However, before we could officially "launch" we had to have our orientation at MoBap with all of the birth photogs and hospital staff...and that was finally set for Friday, July 27th! It looked like after almost 7 whole months of talks and paperwork and ideas that this was FINALLY getting set in motion the first of August! My amazing birth photog team!! Once we were officially official, I posted some announcements on my FB photog page and personal FB page (and maybe you saw one of those!) and we were officially going live! AHHHH! I cannot believe it! This has been such an amazing and crazy and awesome ride and I seriously cannot wait to be elbow-deep in birth stories for the rest of 2018 and for (hopefully!!) many years to come. I am SO SO SO anxious to see where this goes and how (and if!) it takes off. There are so many unknowns but I have high hopes and am optimistic about this all and cannot wait to see what happens next! I cannot thank my hubby enough for his support and encouragement to GO for this, my friends and family who have stood by me and pushed me to DO THIS from day 1, my internet friends, many whom I've never met, but believed in me (from afar, and from just seeing my pictures!) and pushed me all along, my amazing OB who took a chance over a year ago to put some of my prints in her office and made this all a reality, and all of the incredible mamas (and daddies!) I've had the privilege of snapping their little one's entrance into this world. GAH! I am so excited for this road ahead and all of the things to come! If you want to follow along, check out the MOBAP Birth Stories website, Instagram, Twitter, and Facebook page linked below. I'm sure you'll be hearing oodles more about this in the days, weeks, months to come! Stay tuned my friends, it's going to be an exciting ride!